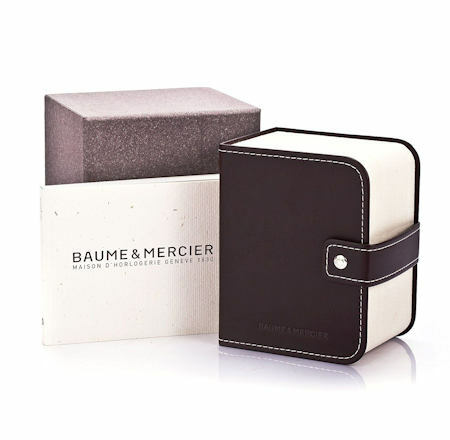 Baume & Mercier is a company dedicated to perfecting fashionable timepieces with a supreme blend of aesthetics and technical precision that are true to traditional values. 100% Authentic and 24 Month Guarantee! Shipping & Handling: Free shipping within the contiguous United States. If shipping to Alaska, Hawaii, Puerto Rico, or Canada $25 additional.